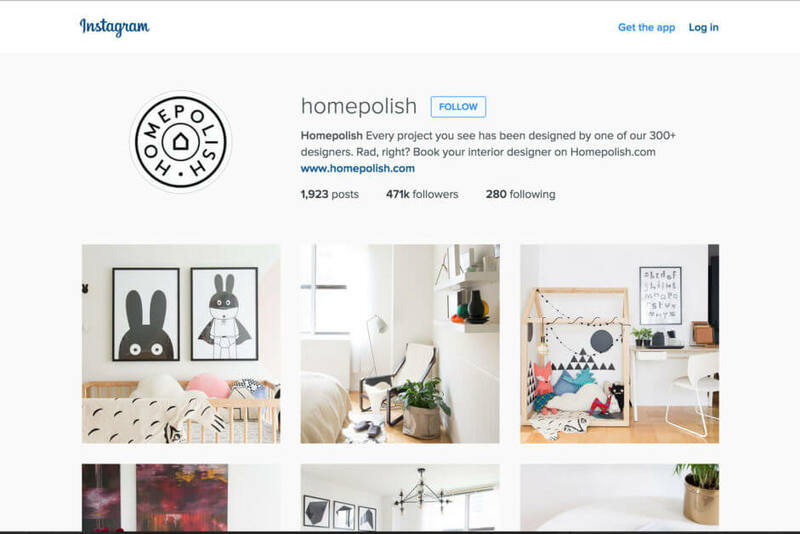 Instagram can be a treasure trove of ideas for your home or apartment. Do you need organizational tips or ideas for your next furniture project? Or do you just want to look at pictures of pretty buildings and rooms? It’s all right at your fingertips. But with all the home-related Instagram feeds out there, it can be overwhelming to know where to go to find the best of the best. Here are some recommendations for décor, architecture, and DIY projects. @jonathanalder Jonathan Alder’s design vision: “Build a timelessly chic foundation, then accessorize with abandon.” You can see that vision come alive on Alder’s Instagram feed. Bright accessories are everywhere, as are bold prints and pops of color. If you want to learn how to successfully mix prints and colors, this is the place to go. @homepolish Home Polish is a NYC-based interior design company. Their designers do innovative and often affordable things. Plus, their feed has truly gorgeous, well-taken photos. There’s something for everyone. @hannasinspo Swedish blogger and designer Hanna Ahlin’s feed is filled with clean, bright photos. Follow her for some good old Scandanavian design inspiration. @kellywearstler Designer Kelly Wearstler’s feed is chock-full of thought-provoking photos. Her feed features art and interiors as well as design-related photographs. @em_henderson This mom with young kids, Emily Henderson, takes you through her home and studio. Her ideas are especially great for those with young kids and a growing family. @witanddelight You’ll love Kate Arends’s simple and elegant design ideas. She has been featured in Martha Stewart Living and Elle Décor, among other publications. @ivozwek Ivo Zwek’s Instagram is dedicated to the stunning geometry of architecture. Follow for frequent photos from Holland. @carloscopertone Carlos Copertone features gorgeous architectural shots from Europe, particularly shots of staircases—vertigo, anyone? @dwellmagazine This feed has daily updates from the editors of Dwell. It is primarily focused on all things modern. @thistlewood If you like to turn your thrifty finds into something beautiful, follow KariAnne. She’s full of beautiful country home ideas. @apartmenttherapy This feed has something for everyone with its range of eclectic photos and ideas. @refreshstyle Debbie is a pro at repurposing junk into beautiful things. But her gutsy projects are often not for the faint of heart!